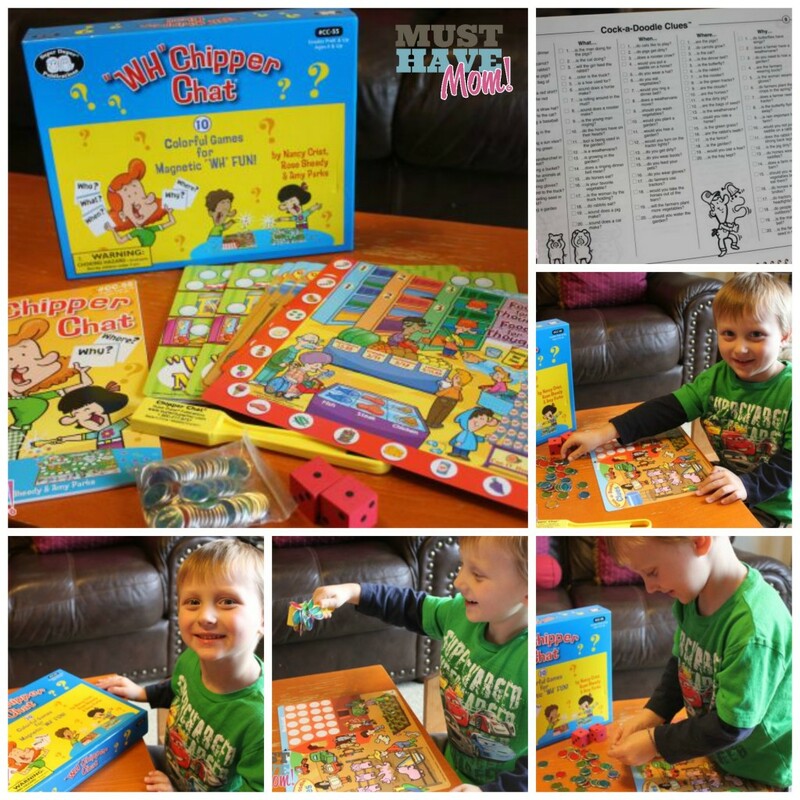 Homeschooling Games for Preschool & Kindergarten: A Few Of Our Favorites! My 5 year old daughter Danika is in Kindergarten at a public school this year. My 3 (soon to be 4) year old son Aiden will be homeschooled due to his life threatening peanut allergy. Our school lacks a policy to keep him safe so for now our solution is homeschooling him. Being that he wouldn’t start preschool until next year I haven’t been heavily working with him on any preschool curriculum yet but I have started to introduce him to preschool concepts. So far he has a hunger to learn and I’ve been really impressed with the learning games that we have used from Super Duper Publications. 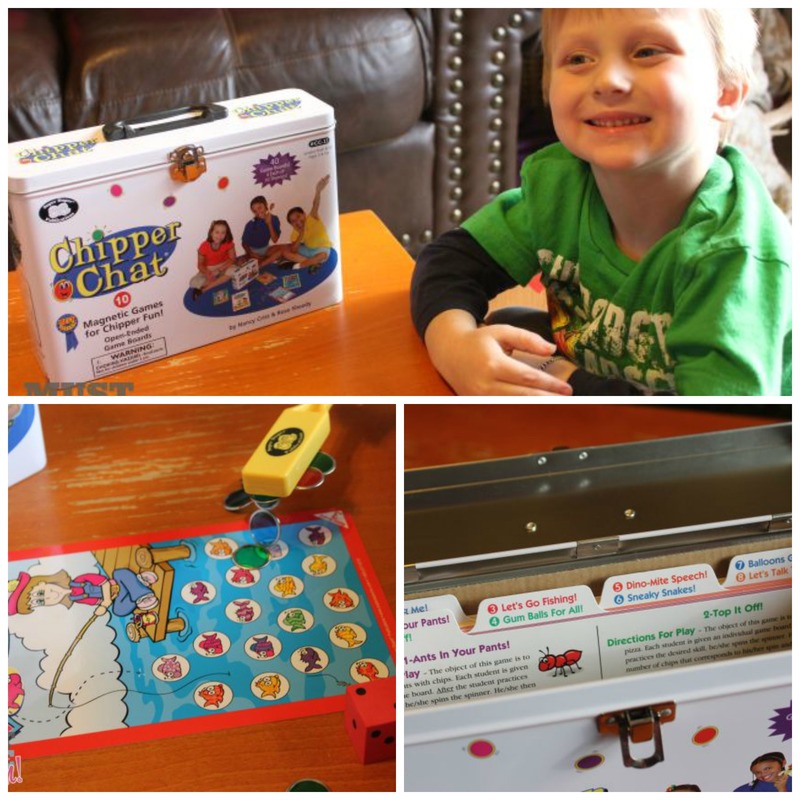 Here are a few of our favorite homeschooling games that work well with ages 3 and up. Our favorite game is the “WH” Chipper Chat. Each “WH” game centers around the use of individual game boards, magnetic chips, and a magnetic wand. Students place the chips on their boards as they answer “WH” questions (included with each game). When the boards are full—whoosh, the kids pick up the chips with a “magic” magnetic wand! “WH” Chipper Chat includes ten different scenes. Each scene has a lesson plan with 100 “WH” questions (20 each of Who, What, When, Where, and Why). That’s 1000 questions in all! A handy “check off” form makes it easy to keep track of the questions you are asking. I loved the lesson plans and how they included questions for every different game board. Aiden loved answering the questions and then after he answered he was able to roll the dice and place that number of chips on the board. I loved that not only was he learning to answer questions but he was also practicing his math skills in counting the number on the die and counting out the chips. He loved the game and I enjoyed doing it with him. Of course his favorite part was using the magnetic wand to swoosh away all the pieces once his board was full. Chipper Chat is similar in concept to the game above but allows for more open ended play. There are not a set of questions to ask but rather it provides a few questions about the concept on the game board and allows for you to create your own. The open-ended flexibility (language, articulation, fluency, and voice games) and variety (ten different games—forty total game boards) make for a very versatile learning game. Here’s how it works. You choose your teaching topics. Students earn chips by making correct responses. After filling a game board up with chips, the fun begins as the students use the magnetic wand to remove chips from the board! Artic Chipper Chat once again uses the much loved magnetic wand and chips with a different spin on things. Students pick up question cards (“Name a flower that rhymes with nose”) and search their boards for the correct picture answer (“rose”). As they answer questions, players fill up their boards with magnetic chips. When the boards are full, each child waves the “magic” wand over the board and collects the magnetic rewards. I found it easy to tailor this game to Aiden’s age level and I can see how it will grow with him as he learns more. 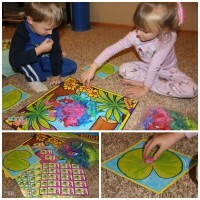 The magnets really grab his attention along with the colorfully illustrated game boards. Since he was already familiar with the concept of the boards and magnetic chips, it made it easy to add in the cards. Targets 12 different sounds—S, R, L, S Blends, R Blends, L Blends, SH, CH, TH, F, K, and G.
These are all quality games that include everything you need to teach key concepts to your preschool or Kindergarten age child in a fun way. Aiden thinks we are just playing games while he is really learning a ton! 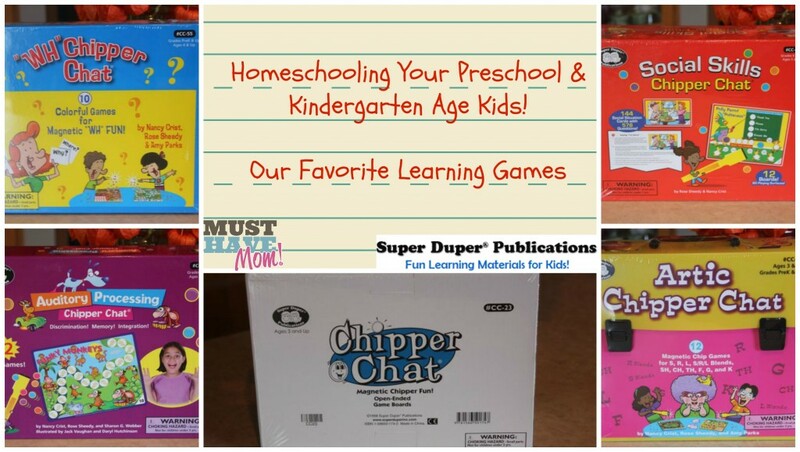 You can buy all of these great homeschool games and many others that we love from Super Duper Publications. Super Duper Publications is giving my readers a 15% off discount code! Use code: DBCNQBFB! Which will make their great educational products more affordable than ever. They also offer free shipping on $20 minimum order. What are your favorite games for teaching your little ones? Must Have Holiday Gift Picks For Boys & Girls! 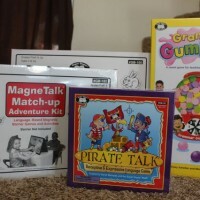 Super Duper Publications Educational Games + Discount Code! 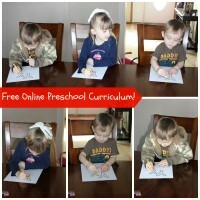 Free Online Preschool Curriculum! Daily Classes & Free Printables! 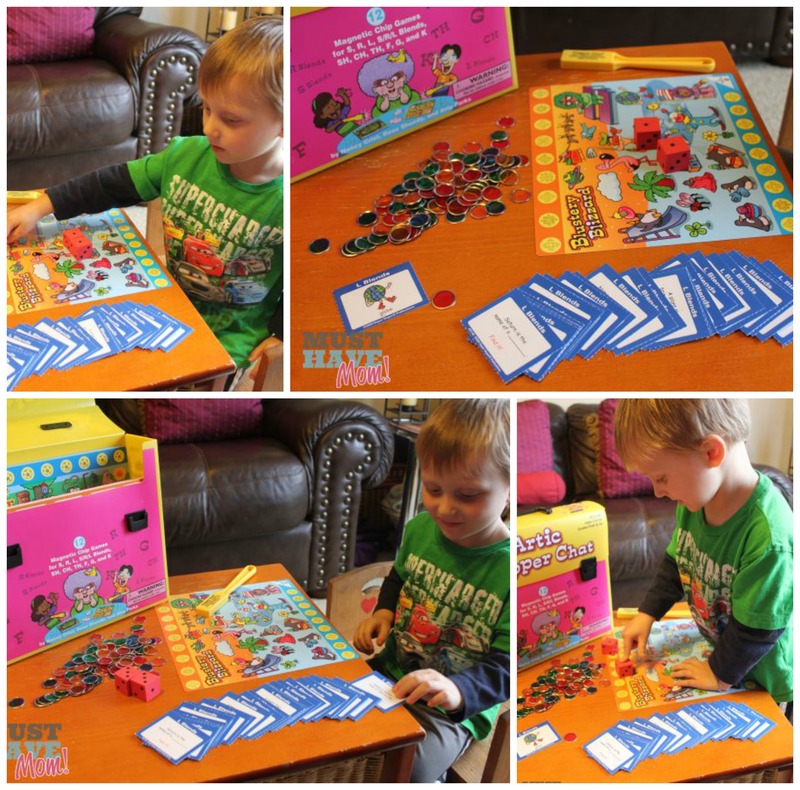 Improve Your Child’s Math Skills With Lola’s Math Train 2! i am interested in homeschooling my children too! these are awesome products and i like that you can tailor it to their level! i love that this kit helps with speech development and words recognition and so forth! this is great even for reg schooled kids!